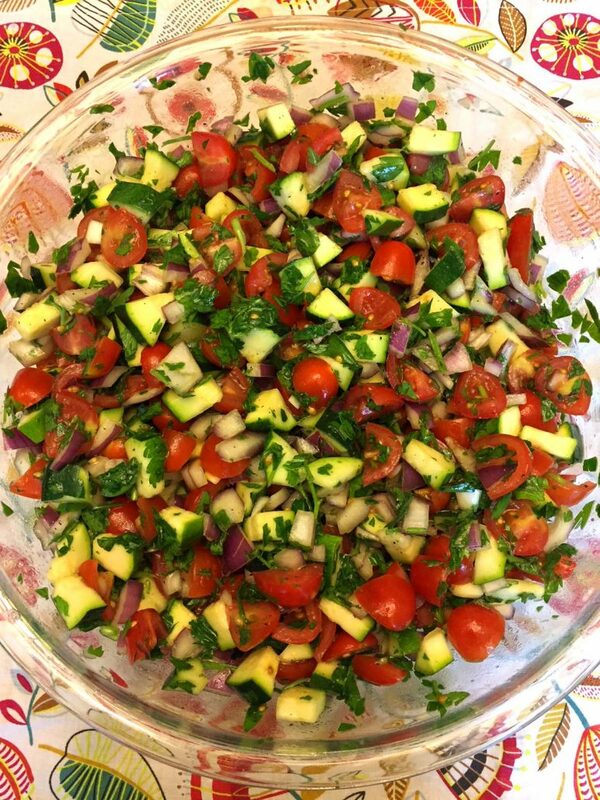 This raw zucchini salad with cherry tomatoes, onions and parsley is so colorful, healthy and delicious! Truly refreshing! 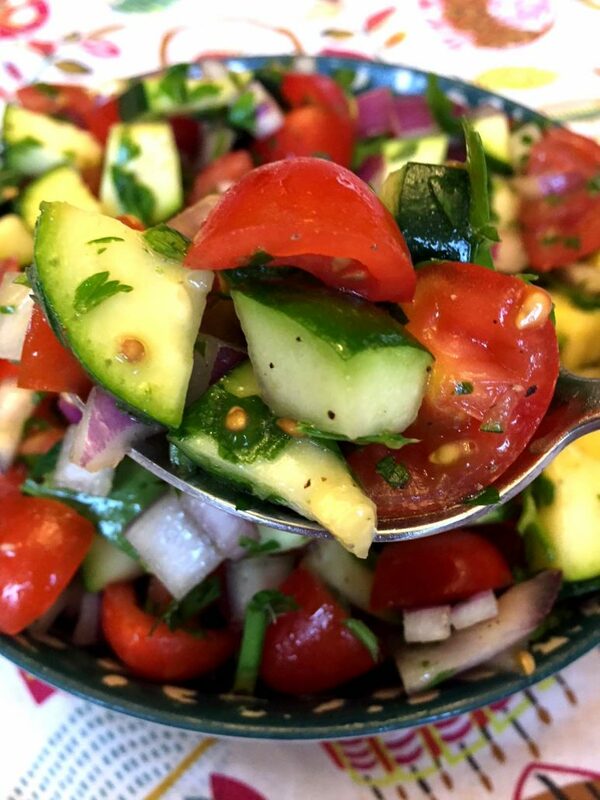 Yes, zucchini can be eaten raw and it tastes amazing in this salad! 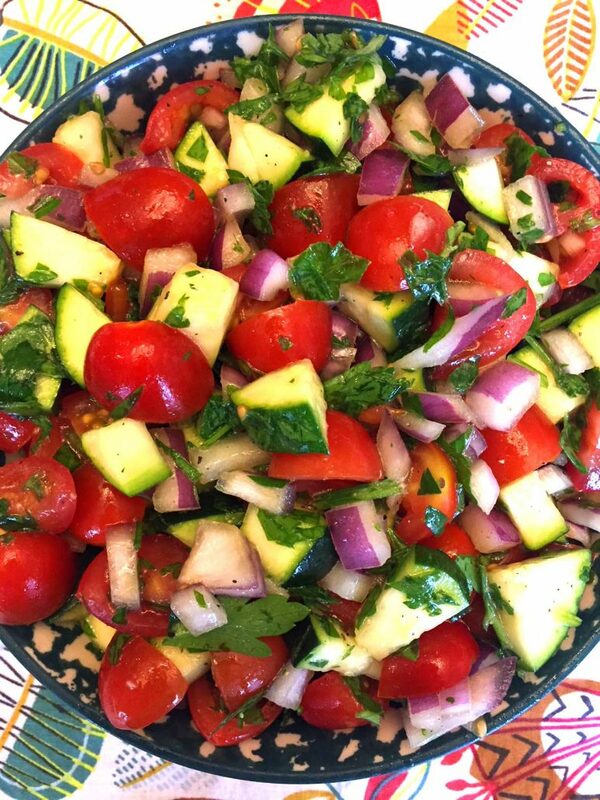 Raw zucchini, juicy cherry tomatoes, zesty red onions and fresh parsely are dressed with a homemade dressing of extra-virgin olive oil and freshly squeezed lemon juice. 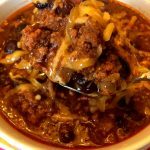 This stuff is so good, you’ll want to take a big spoon and keep eating and eating more and more of this healthy deliciousness! There is no healthier way to eat your veggies than to eat them raw! 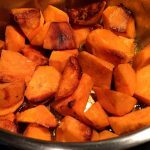 All the vitamins and nutrients are preserved this way – they don’t have to be destroyed by the cooking process! Extra virgin olive oil in a dressing actually helps your body absorb the vitamins in the vegetables. 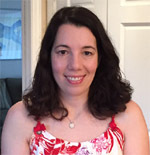 Raw natural food is what our ancestors have been eating and the healthiest way to eat! What does raw zucchini taste like? 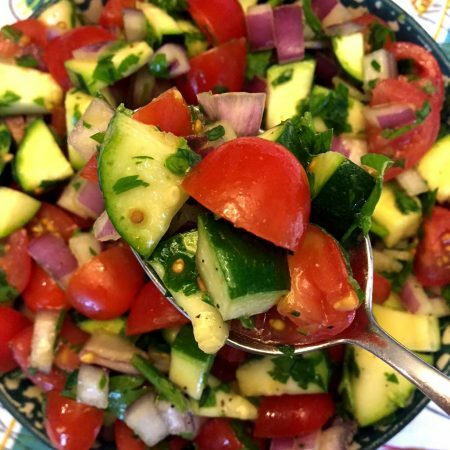 Make this salad and find out 🙂 Seriously, raw zucchini has a pretty mild taste that just blends in with other vegetables. 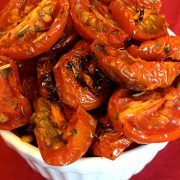 It’s mildly crunchy too and combines perfectly with juicy tomatoes and zesty onions! Parsley adds a super refreshing taste, and the dressing just makes everything complete. Freshly squeezed lime juice and olive oil go so well here, followed by sprinkling of salt and pepper to taste! Yum! Do you need to peel raw zucchini? Not really! Zucchini skin is soft and just blends in with the zucchini chunks in this salad. Not peeling the zucchini saves you time and effort – why do extra work if you don’t have to 🙂 Plus zucchini skin like any fruit and vegetable skin contains extra vitamins and nutrients! To minimize the pesticide exposure, choose organic zucchini and also wash it really well before chopping. 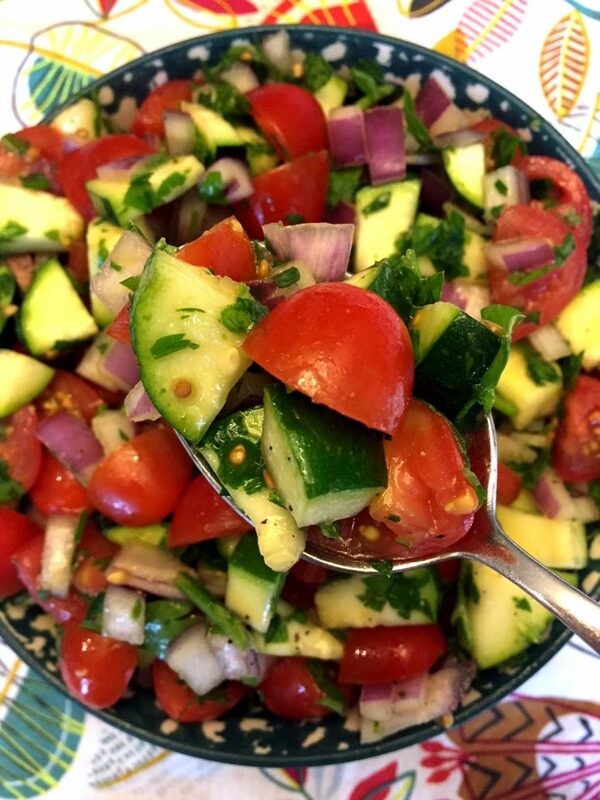 A really awesome thing about this raw zucchini tomato salad is that it can be made ahead. Yes, this salad stays perfectly good in a refrigerator for up to 3 days! 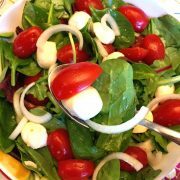 There are no lettuce leaves to wilt 🙂 Making this salad ahead is the reason why I use cherry tomatoes instead of regular tomatoes. While regular tomatoes get mushy when refrigerated, cherry tomatoes retain good texture and juicy taste, even when chopped! That’s why I always use cherry tomatoes when meal-prepping my mason jar salads! 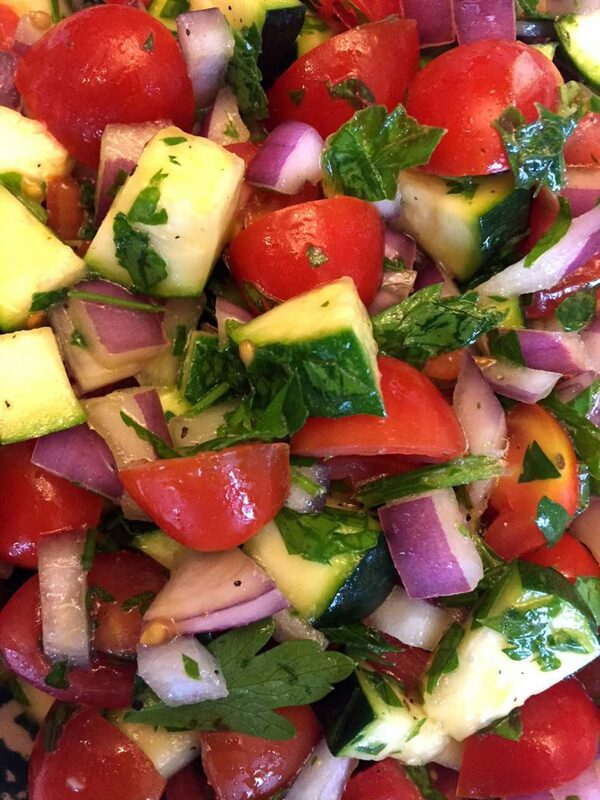 I love having a huge batch of this zucchini salad in my refrigerator! 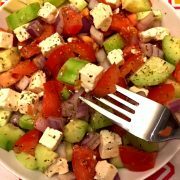 If this portion is too big for you to eat at once, it’s great to have this salad on hand for later! Nothing encourages healthy eating more than having healthy food that’s ready to eat waiting for you! 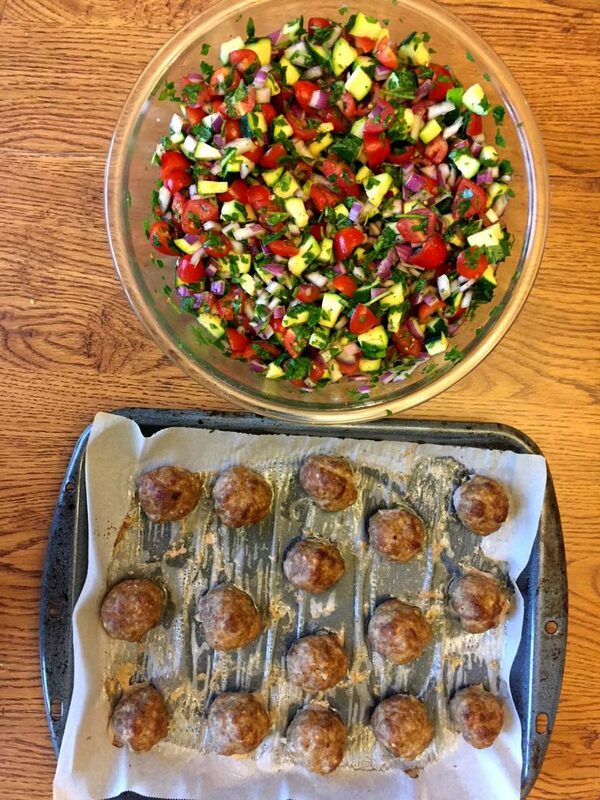 On the picture above, I prepped a huge bowl of this raw zucchini salad and a baking sheet of gluten-free meatballs! Look at the size of that salad bowl – it’s as big as the baking sheet (I’ve increased the recipe portion by 1.5 by using 3 zucchinis instead of 2 and 3 pints of cherry tomatoes instead of 2). And these meatballs are so yummy and healthy too, follow the link for my gluten-free meatballs recipe. Enjoy! 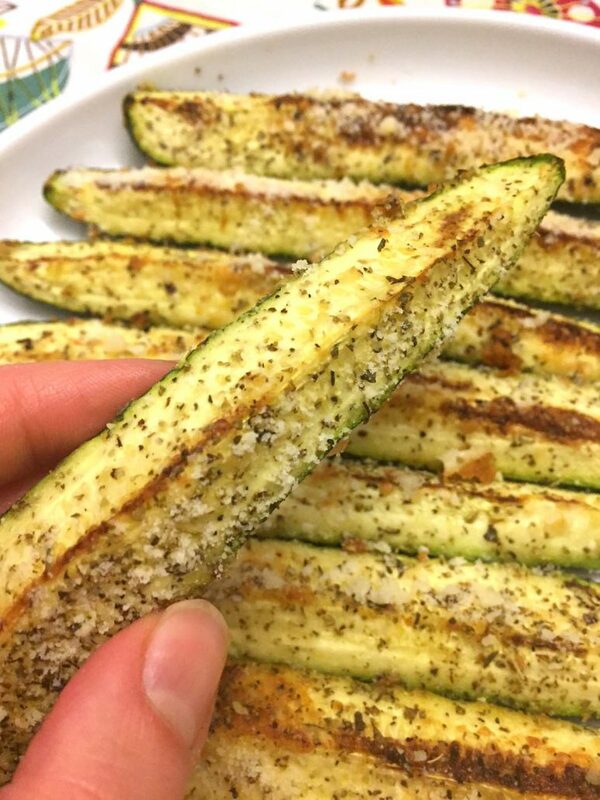 Baked Zucchini Fries – these Parmesan garlic zucchini wedges are out of this world! Best Ever Zucchini Bread – loaded with zucchini and has amazing taste and texture, this is the only zucchini bread recipe you’ll ever need! 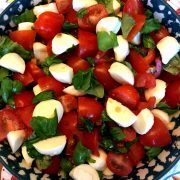 Chopped Caprese Salad With Cherry Tomatoes – another awesome salad that uses cherry tomatoes and fresh basil, so colorful, healthy and delicious! 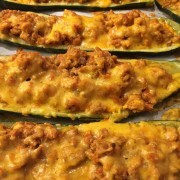 Stuffed Zucchini Boats – zucchini stuffed with meat and cheese and baked to perfection, this is my favorite low-carb dinner! 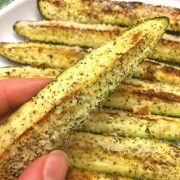 Oven Baked Zucchini Chips – turn zucchini slices into chips by using your oven! These zucchini chips are so crunchy! 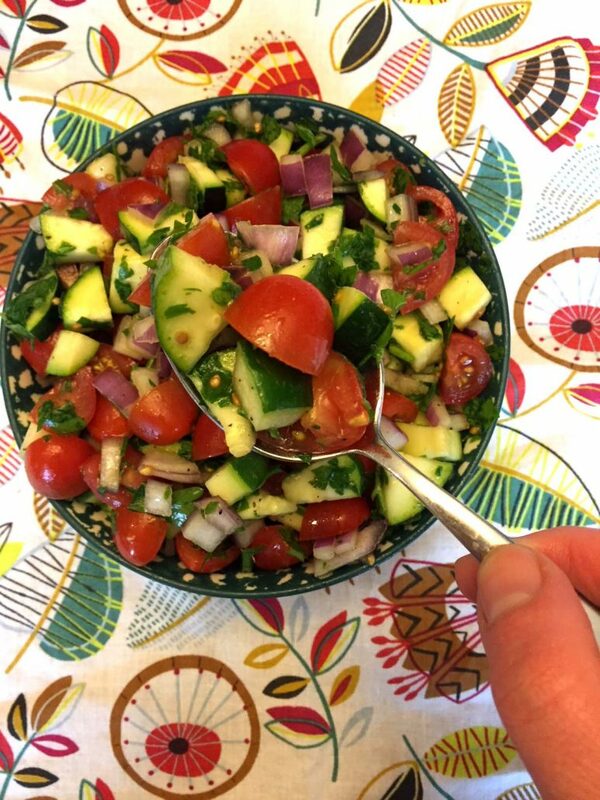 This raw zucchini salad with tomatoes, onions and parsley is so healthy and delicious! Crunchy, refreshing and bursting with flavor - this is a perfect way to enjoy the summer produce! In a cup, mix the olive oil and lime juice with a fork to make a dressing. 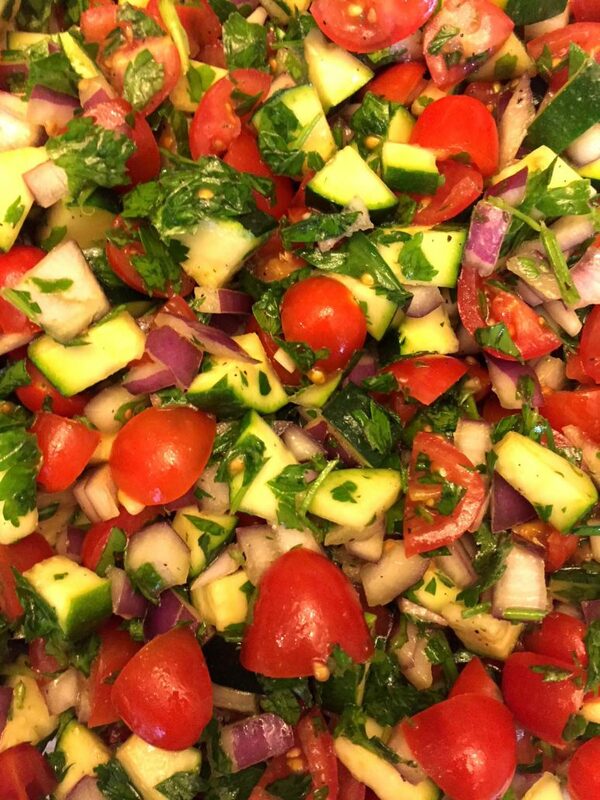 Put chopped zucchinis, cherry tomatoes, red onion and parsley in a large bowl. Pour dressing over the vegetables and toss until combined. Add salt and pepper to taste. This salad can be made ahead and stored in a refrigerator for up to 3 days.